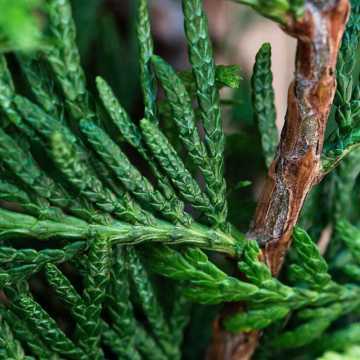 Yew is a dense, dark, evergreen species with bright green spring growth and autumnal red fruits which are much sought after by birds but harmful to humans, pets and livestock. It is often thought to be very slow growing but actually normally grows by 30/40cm pa so not as slow as many people think - but once it reaches its desired height, its easy to maintain. 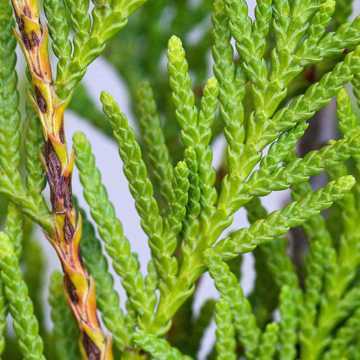 View our full range of conifer hedging plants and our plants for exposed sites. Yew plants needs plenty of water in the first couple of seasons but should not sit in waterlogged soil. If you are concerned that you have clay, wet soil, please improve the drainage when planting Yew. 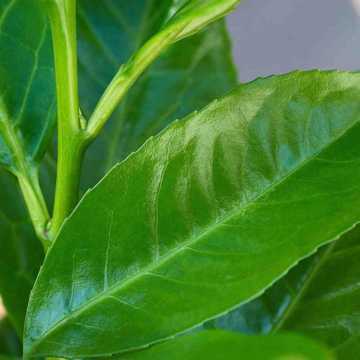 Apart from its requirement for water, its very easy to grow, shade tolerant, very hardy, and likes all soils particularly alkaline. See also our range of hedging plants for shade. You can include Yew in a native garden feature to add interesting texture and winter cover. We have a huge range of native plants as fantastic additions to a multispecies hedge. If the cost of Yew hedging is too much for your budget, you could also consider Lonicera nitida, which has a similar dark-green colour and dense habit (but requires more trimming), or Buxus sempervirens, the classic Box hedge, which will grow much taller than most people realise and has all the slow growing benefits of Yew. 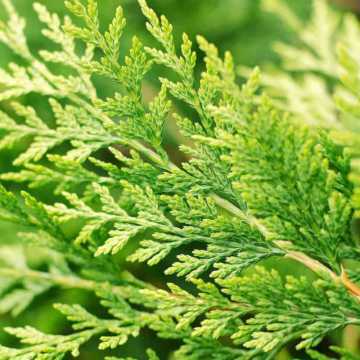 Or, for tall hedging, Western Red Cedar is a conifer hedging plant which is easy to maintain. It's very rare that customers order these plants online (although it does happen and you can do if you prefer). Usually we find that customers like to discuss their requirements with us so that we are able to explain the size of the plant you are interested in, provide a photograph of the actual stock you would receive, and discuss the delivery options - as well as providing a bespoke quote with a variable discount on larger orders. We can also advise how to plant and care for your mature hedging plants to ensure you are delighted with the outcome. Plants that have been ordered are 'dug up' so that they are fresh and out of the soil for the minimum number of days before being replanted by you; so please allow a minimum of 7 days between placing an order and receiving the delivery. The nurseries we work with lift plants every day in peak autumn and spring seasons and it is a tried and tested process to get them from Holland to the UK, so even if you have not used this sort of mature root ball hedging plant before, please be reassured that thousands of plants are managed in this way each year. Because root ball lifting involves some inevitable damage to the fine root structure, we strongly recommend that all root balls are re-planted with the RHS endorsed friendly fungi, RootGrow. When planting extra tall hedging, there is of course the chance that, depending on the location, it may not be popular with a neighbour. There is now written legislation regarding hedge heights judged to be problematic between neighbours. The Anti-Social Behaviour Act 2003 attempts to outline procedure when hedges are adjudged by a neighbour to seriously impact their own house or garden; blocking light or restricting views for example. A high hedge is classified as being more than 2 metres tall and must be evergreen or semi-evergreen, meaning deciduous hedges such as Beech that are available over 2m are not affected by legislation. If a dispute should occur, the procedure involves raising a case with the local council, should you not be able to negotiate with your neighbour directly. At this point the council will investigate and make a decision based on how much the hedge is deemed to affect the neighbour, whereby they may ask for the hedge to be kept at 2m or below, however there is the chance for appeal.  If you are looking to achieve tall hedging on a budget, a cheaper alternative to buying large 2m+ plants is to buy fast growing hedging. 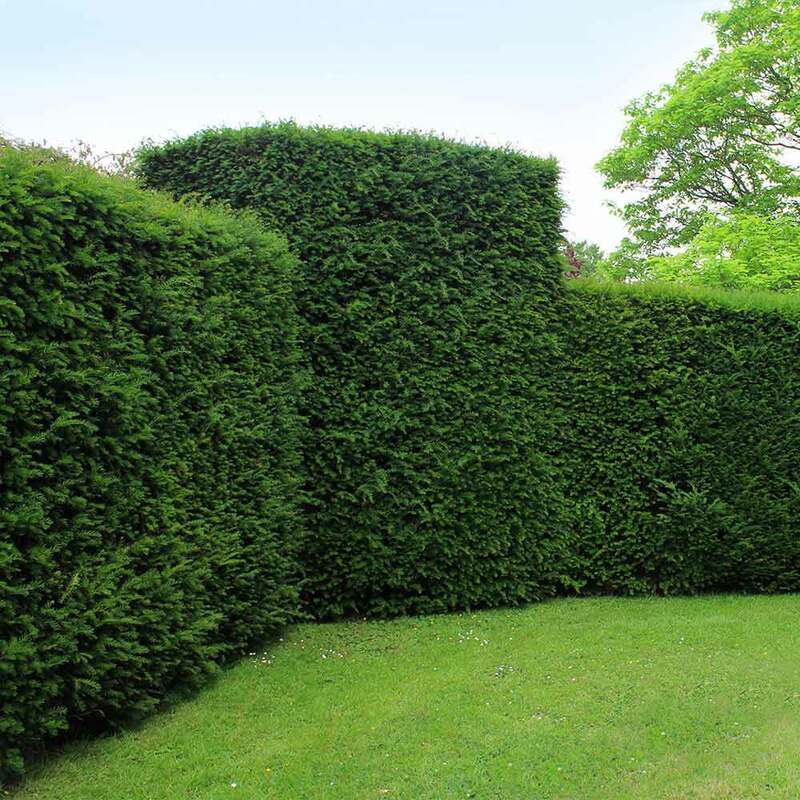 Certain species will grow at a quicker rate than others so if you are looking to create a tall hedge for privacy or aesthetics then it could be worth looking at these fast growing hedges. 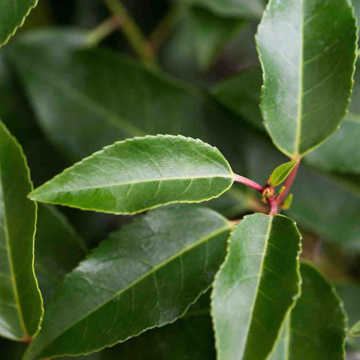 Species such as Cherry Laurel can grow at a rate of up to 60cm a year so buying a plant that is 150cm means you could have a hedge over 2 metres within a year. One concern with fast growing hedge plants is that they may require more care and attention but typically those hedges require pruning once or twice per year. Prices shown are the price per plant. Planting distances are very much a matter of choice - for bare roots, 3 plants per metre is adequate, 5 is good, 7 in a double staggered row will give a dense hedge quicker. Generally, smaller plants should be planted at higher density. Cell grown should be planted at 4 per metre in a single row or ideally 6 per metre in a staggered row. Planting densities for pot grown (which vary by pot size) and root ball (which vary by height) are shown below but again you can vary these depending on your budget and level of patience. 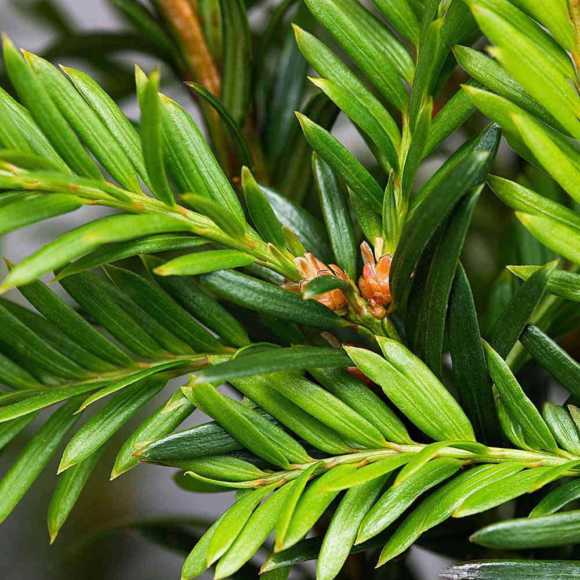 In addition to Yew, include a veriety of colour within your garden with our colourful foliage plants. Yew is also a popular box alternative as it can be trimmed to shape and has small sized foliage. Taxus baccata cell grown, pot grown and instant hedging plants are available all year round. Cell grown and pot grown plants are available all year round. Bare roots are only available from november to late April/early May. Root Ball plants are only available from early-October to late May. Taxus is one of the most accommodating hedging plants and this means in an ordinary year we are able to lift it from the field for you to transplant it in 'rootball' form for 10 months of the year. This assumes of course that the usual aftercare is provided ie lots of water until the plants are established.